The hangar is once again home to an aircraft. 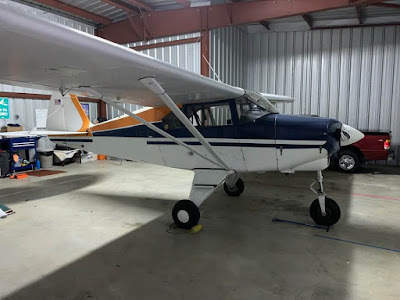 A 1957 PIPER PA-22-150 Tri-Pacer, beautiful bird and fun to fly. Maybe this will make my transition a bit easier, only time will tell. The Pacer was essentially a four-place version of the two-place PA-17 Vagabond light aircraft. 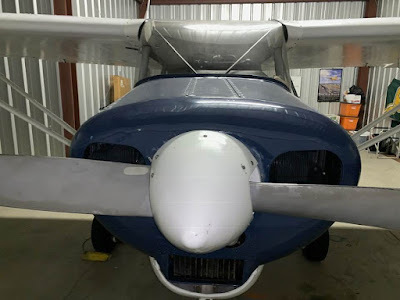 It features a steel tube fuselage and an aluminum frame wing, covered with fabric, much like Piper's most famous aircraft, the Cub and Super Cub. An aircraft prized for its ruggedness, spacious cabin, and, for its time, impressive speed, many Pacers continue to fly today. Factory installed 125 hp (93 kW), 135 hp (100 kW), 150 hp (112 kW), and 160 hp (120 kW) engine options were available, and 180 hp (135 kW) engine after-market conversions are an option. Ok, for all of you that fell for that, I appreciate the moment of laughter it provided me. In all honestly, it's not our plane. The Tri-Pacer belongs to a first responder that was at our accident last June. The owner/pilot needed a home for a few months until his grass strip dries out, further south on the Delmarva peninsula. 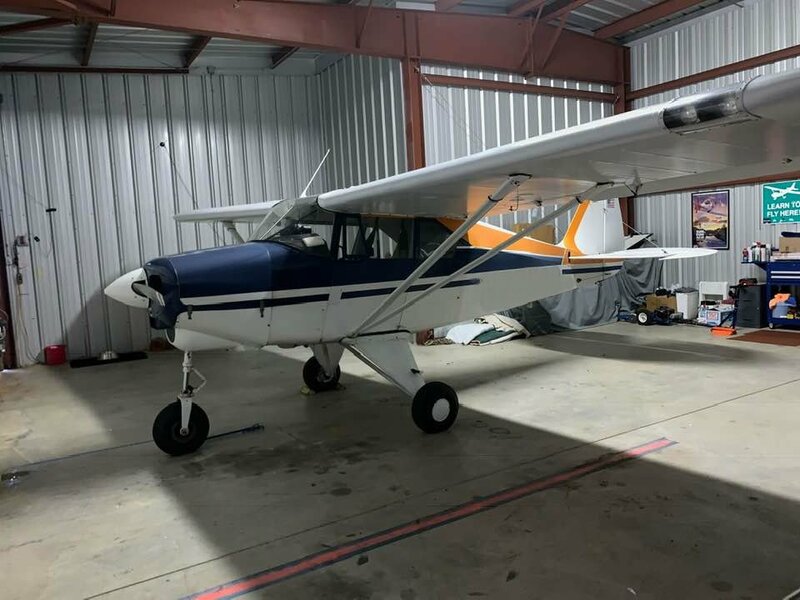 I must say, it does feel good to see the hangar active and who doesn't love the smell of avgas. My search continues for the right aircraft. Our next step is to get back in the air and see how we both handle things. If we both check out then I'll move forward with the search and pre-buy of our next plane. I can't decide if I really fell for it or not, but I was definitely puzzled. Seemed like an odd direction for you to go. Still it has to be good to be around airplanes again. Thanks, I enjoyed the laugh. Well, I'm an odd ball kind of guy. :) It does feel good being back around planes. I even drove two hours to spend a few hours at my old shop that took care of 08Romeo and would have taken care of 45Yankee. It was good to be in the shop and touch all the planes and hang out with the guys. There is a special bond and it felt good to let them know how much I miss those guys. I’m looking at Beech Sierras but leaning towards a Commander 114. Yeah - you didn't have me on that one. Neither you or I are "fit in a tri-pacer" kind of guy at _oh_ so many levels. Fine airplane, just not for me. I always try to provide a few laughs. Thanks, Troy. The fit should have been the first clue.